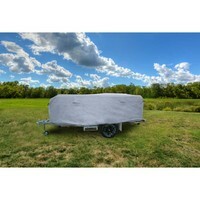 Caravan, Poptop and Camper Trailer covers are an important way to protect your investment. Whether you use your RV on rough-and-tumble camping terrain, are a fan of peaceful camping adventures through the countryside, or just parked in the driveway during most of the year, your RV is ultimately still prone to the everyday damages that occur. We’re talking wind, leaves, dirt, grime, and flyaway pebbles. 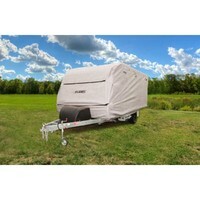 As an RV and Caravan supplier since 1972, Camec has definitely made their mark on their camping industry. 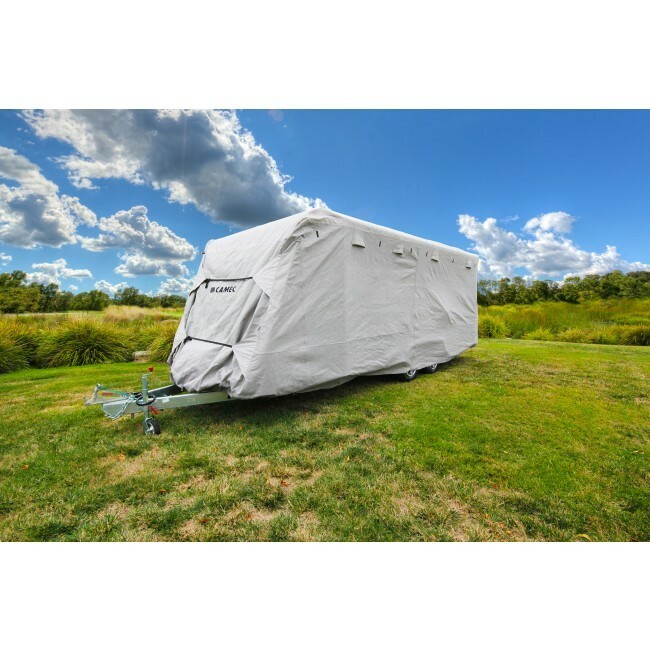 Although Camec has created a variety of innovative and high-quality RV products (such as the Camec Compact RV 240V Front Load Washing Machine), it’s an undeniable fact that Camec caravan covers take the cake for their combination of value and performance. 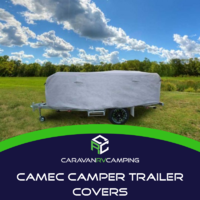 Designed to defend against everything from bird droppings to acid rain, these Camec-branded camper covers are specially engineered to include a 100% water-proof and UV stabilized overhead section, as well as equally water resistant and breathable side panels. 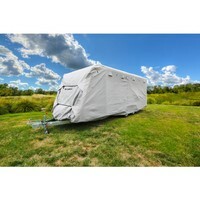 The stretchy elasticized bottom hemming of these camper covers is just another feature that makes them the perfect fit for any serious RV enthusiast. 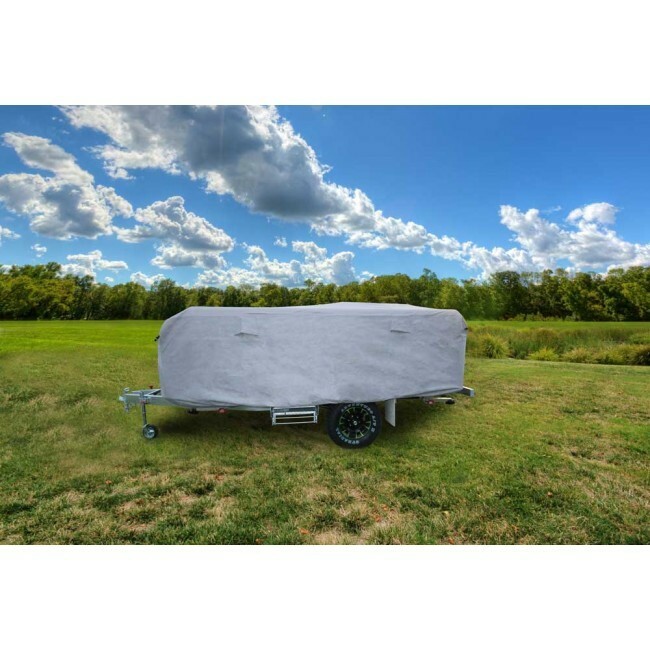 Prior to selecting your custom Camec camper cover, be sure to have the measurements of your RV at hand. Caravan RV Camping lists each Camec cover based on its specific size, so precise measurements are imperative for a perfect fit. 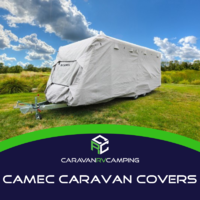 If you’re still experiencing difficulties in selecting the perfect Camec caravan cover, remember that Caravan RV Camping’s Australia-based experts are always happy to help via telephone at 1800 RV PARTS (1800 787 278). As experts with over forty years of experience in the RV and camping industries, Caravan RV Camping knows that maintenance and upkeep are imperative to keeping your RV in tip-top condition. 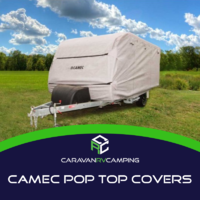 In addition to our large selection of Camec-branded caravan covers, we are also proud to present customers with an extensive collection of name-brand cleaning products, from companies such as Camco, Vuplex, and more!